This year’s High Sheriff Reception gathered together our staff, trustees, volunteers, partner organisations, donors and the community organisations we have awarded grants in recent years to do some well earned celebrating. 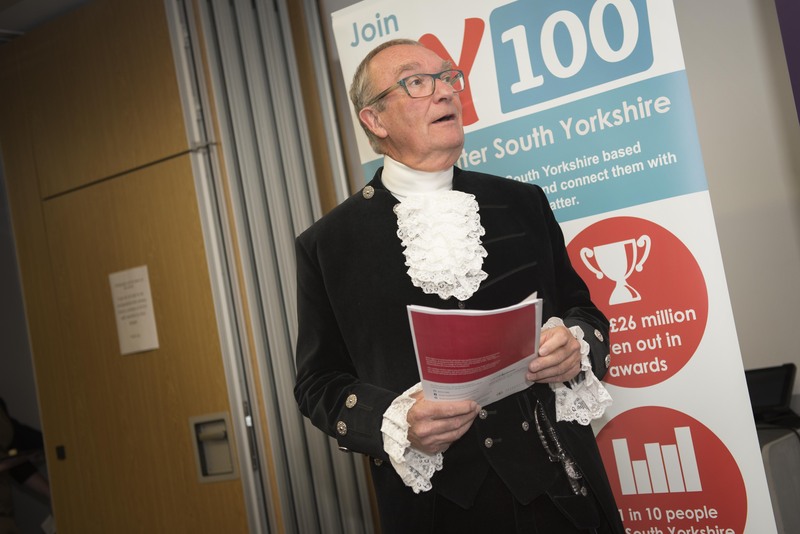 The reception, held at The Open Kitchen in Barnsley College, was hosted by the High Sheriff of South Yorkshire, Barry Eldred Esq DL. He said: “We are here this evening to celebrate 32 years of South Yorkshire’s Community Foundation, during which the Foundation has played a vital and unique role in addressing some of the key challenges in our communities. “I would like to thank donors, partners and volunteers that have made the work of the Foundation possible. Community organisations Barnsley Partially Sighted and Blind Association, TADS, Ben’s Centre, b; friend, Jenga C.I.C and South Yorkshire Funding Advice Bureau, hosted stands on the night to showcase their exceptional work. Deputy Principal of Barnsley College, Yiannis Koursis also spoke on the evening: “I am amazed by the achievements of the South Yorkshire’s Community Foundation over the last 32 years on a local and national level. “Community Foundations are needed now as much as ever. There are huge hidden community needs which need tackling. Thousands of small charities working below the radar that can do so much with very modest support. The event focused on recognising the excellent work being done by South Yorkshire’s Community Foundation, and by the community groups we support. We thank everyone who attended and took part in recognising all the good work happening locally.